EUR is the strongest currency, suddenly losing a lot of strength. CHF is the 2nd strongest currency, showing some weakness. NZD is the 3rd strongest currency, falling its teeth out. USD is the 4th strongest currency, slightly weaker. JPY is the weakest currency, with sudden strength since yesterday. GBP is the 2nd weakest currency, showing great strength since yesterday. AUD is the 3th weakest currency, continuing its downward trend. CAD is the 4th weakest currency, on the brink of becoming one of the strong ones. Traders note: The speech Mr. Draghi from the Euro zone delivered yesterday surely threw the markets in turmoil… But as always we will have to wait and see what happens. Be careful when trading the CAD as its strength is only for the last week. 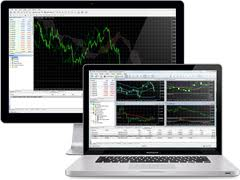 Struggling with your Forex Trading Platform, download our FREE Metatrader 4 user Manual!